Holyhead's position in the Irish Sea and its connection with Ireland has been of significant importance for many centuries. 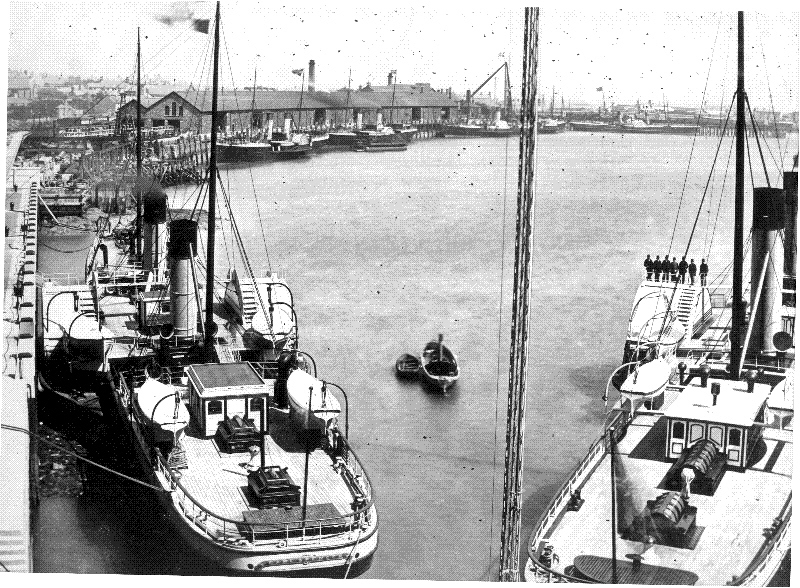 Throughout the early days of sail and through the later transition to steam and motor vessels Holyhead has always operated a busy port and harbour. Prior to the Victorian period Holyhead would have operated numerous sailing vessels and paddle driven Packet Boats carrying passengers and mail to and from Ireland. The boom time came to Holyhead with the arrival of the railway in 1848 when larger, screw driven ships started to appear. Towards the end of the 19th Century far more technically advanced ships were built for the Irish crossing and competition between the operating companies resulted in a faster more comfortable service. The inner harbour was developed in the early 1800's and then again in 1880 with a building of a new Railway Station, Hotel and Dock enabling passengers to transfer directly from ship to train. To provide a harbour of refuge from the sometimes very inhospitual Irish Sea, the giant Breakwater was completed in 1873. The museum contains many highly detailed ship builder's models of the sleek screw driven vessels of the late 19th and early 20th Century. Comparisons can be made with the more technically advanced and radically shaped vessels operating out of Holyhead today. There is also much memorabilia on show including ship and crew photographs, uniforms and ensignia, flags, ship equipment, maritime artifacts, ship repair tools (Marine Yard) - all helping to tell the story of Holyhead ships and seamen during both war and peace.